The Imo state governor, Rochas Okorochas, before the Federal High Court in Abuja, has filed a suit against INEC, challenging the authority of the electoral body to withhold his Certificate of Return as the senator-elect for Imo West senatorial district, Igbere Tv reports. 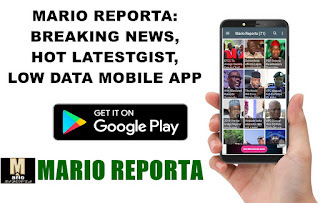 Recall that the commission refused to issue him the certificate of return after Professor Francis Ibeawuchi, the Returning Officer for the February 23rd election, said he announced Okorocha as the winner of the senatorial election "under duress". Justice Taiwo ordered the defendants to file and exchange their processes within 10 days, while the plaintiff's counsel was given three days to respond to them. The case was adjourned till April .